Comprises TWELVE 2018-dated $2 coins - ten of which you can only get in this set! Australian legal tender - flawless Unc quality! Incredible value - pay just $6.25 per Unc coin! Your chance to own TWELVE 2018-dated examples of Australia's classic circulating $2 types - ten of which you can only get in this set! - this stunning new collection will create havoc amongst collectors. The RAM's circulating $2 commemoratives form one of the hottest series in numismatics. Naturally catching the eye of collector and non-collector alike, the extremely low-mintage full-colour $2 types are particularly sought after, with every one hoarded out of circulation. Even if you are lucky enough to find one in your change, it will not be in Uncirculated condition - and definitely not in the quality seen here. Struck to a much higher standard than the coins found in your change, this spectacular set comprises twelve 2018-dated $2 Uncirculated coins - including EIGHT in full-colour! 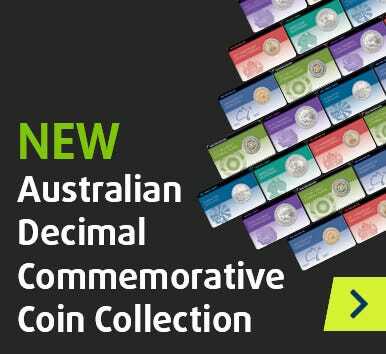 A must-have for a complete collection, the set is highlighted by some of Australia's most desirable decimal types, including 2018-dated examples of the Red Poppy $2, Purple Coronation $2 and Green Remembrance $2! The set also includes 2018-dated examples of a Maklouf Portrait Aboriginal Elder $2 and a Decimal 50th Anniversary $2! Presented within an official RAM pack, this inspired set is also defined by extremely limited availability and an astonishingly low Official Issue Price. At a mere $75 – just $6.25c per coin! – the mintage of 30,000 will be crushed beneath the weight of demand. Do not miss this opportunity! This item is featured in the following blog posts in the Downies Official Blog.